7 Snippets from a not-so-much-Saturday: Spring Plans! First of all, these seven snippets were supposed to happen on Saturday because it has awesome alliteration (seven snippets of Saturday)…and at the latest Sunday because it also fit into the alliteration mode that I so dearly love. It’s not Saturday or Sunday, and is in fact Wednesday because I’ve been very busy with thinking my thoughts, but not acting on them. In fact, I’d go so far to say that I’ve been procrastinating them (which is the dumbest thing to do when you are thinking the kind of thoughts that ought to birth into activity.) They need to be lived out, and acted on, and experienced, not just stuck away in the recesses of my brain. Ugh, for the love of the do and the be and the live, procrastination be banished! Now that I have that off my chest, I can get on with the business of writing. The Midwest has been getting it’s fair share of snow the last few weeks. I know this, because being from the Midwest, ALL of my social networks have been hijacked with pictures of beautiful drifts of white goodness for the last week. I would be lying if I didn’t admit to being ridiculously, insanely, a tad jealous. Despite the fact that I moved North, I moved ‘Pacific’ North…and that means that the winters are frequently mild and more with the rain and less with the snow. 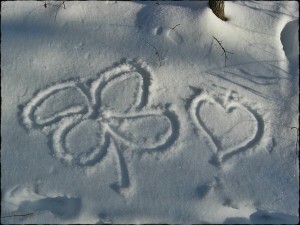 I know this is supposed to be a bonus… but I really love snow. I would rather have cold + snow than cold + rain. However, that aside, I was looking at the forecast for the next few days and it looks like the weather is about to pass into the ’60’s’ realm. I know I just spent several sentences whining about how I like snow… BUT I’m kind of jazzed about spring. I used to hate springtime. It’s an odd thing to hate, but generally I would place the blame on the fact that my body staged a coup every time it met with green blooming things. It literally HATED the living world, and it’s livingness that becomes most abundant in the spring. For me it meant lethargy, sneezing, watery eyes, and the worst of all… wheezing. The PNW has so far been a lot kinder to me, for reasons unknown. I suspect that grass is the main culprit in my woe, and so I suppose being west of the Great Plains isn’t a bad idea for me. Anyway, all this spring talk gets me excited about SPRING! And as with any future event, for me, that means I get excited about making spring plans. Sometimes I think I almost get more excited about planning life than living it (again with the thinking the thoughts instead of doing them… *sigh*). But there’s nothing wrong with a well made plan. In fact, planning does seem to indicate that I get more done than when I passively sit back and let things slide. So even if I don’t do all the things I plan to do, it seems to be better that I plan something and get some of it done, as opposed to planning nothing and getting nothing done. That said, here are seven of the spring plans that are most prominent on my list so far. 1. 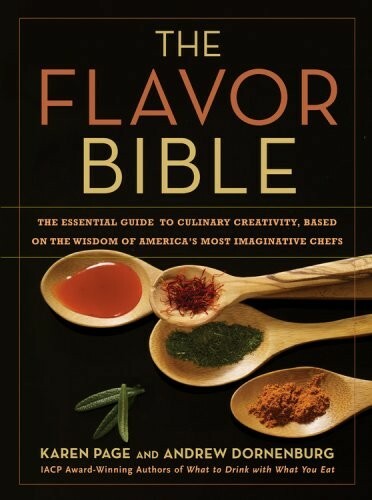 Intuitive Cooking: A few weeks ago I posted about a new book I was getting? Well it arrived, and I’ve been getting pretty excited about venturing out and becoming a more intuitive cook. That means that I’m relying less on a recipe and more on my imagination. I’ll be honest, it doesn’t always work. I’m still learning a lot about cooking, but I think it is one of the great creative acts–and like any creative work it takes practice. I thought this lovely lady did a nice job of summing up some tips that I hope to incorporate into my creativity. This spring I’d like to start cooking most of my meals this way (and yes, it’s a big goal, with vast potential for failure.) So spring plan number one? Become more comfortable and creative in the culinary arts. 2. Eastern Oregon Hikes: I first discovered this blog last year, when trying to scout out adventures in the PNW. 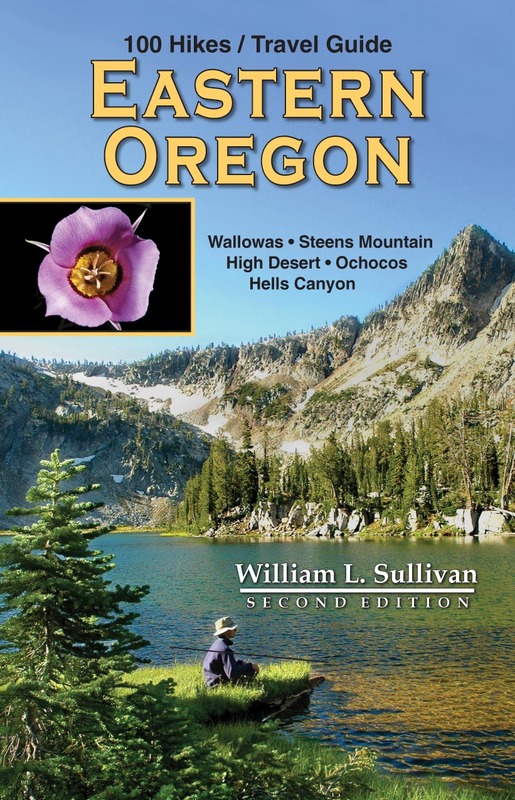 While the blog covers ALL of Oregon, I was specifically excited about some of the ideas for hiking in the inland Northwest as opposed to the coastal Northwest. 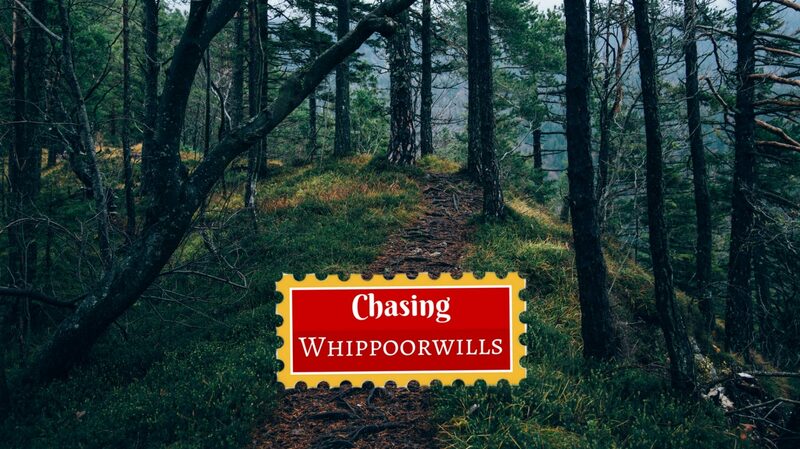 Perhaps due to the stunning otherworldly nature of the coast and cascade range, or possibly due to the population vastly being on the west half the of the states–I find that when looking for hikes and adventures, it’s been much easier to find things west than inland. While I appreciate the cascades and the ocean, I am situated inland and sometimes need to not drive five+ hours for a hike… really. That said I was pretty excited to see all the options this guy had, and have had his book on my list for quite a while. I finally caved in and picked up a copy when I found it at the local bookstore, and haven’t regretted it for a moment. He has fun maps, and tips, and lots of adventure options. It makes me feel a little more like choose my own adventure in life. Although a lot of the hikes will be more summer plans than spring, hopefully as early as mid-April I’ll be able to start putting this little book to work. Spring plan number two? 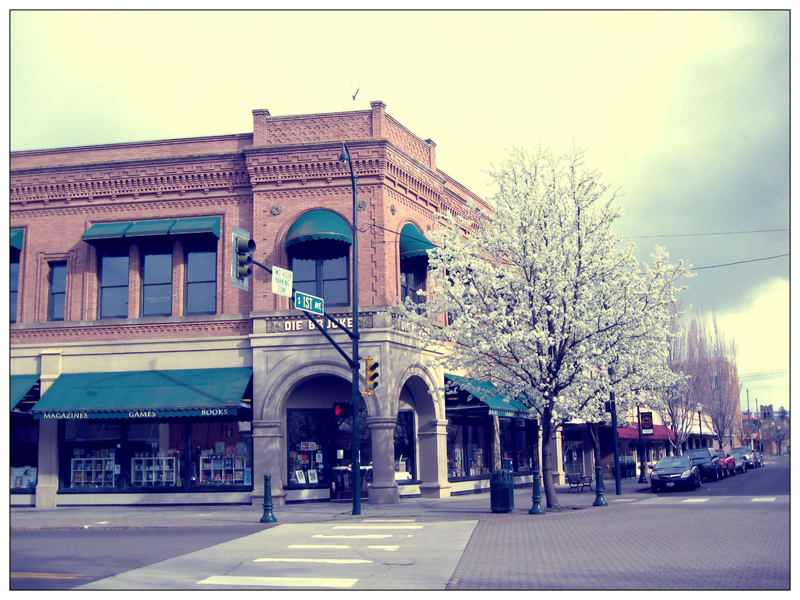 Start exploring Eastern Oregon a little more in-depth. 3. 13 going on 30: Remember the movie that came out a few years ago? Yes? The movie has already been a comfort to me for sometime because of one of the lines ‘thirty, flirty and thriving’ which I’ve been repeating to myself since age 27, in order to keep from freaking out about being ‘almost thirty.’ Recently however, I found yet more inspiration from this little gem, because a.) I’m going to be 30 in *gulp* a few days, and b.) this is 2013…and so that gave me the idea to make a whole year of the celebration. I mean we usually just celebrate the DAY, but what if instead I was to celebrate the entire YEAR?! And so I came up with a list of 13 things I want to do this year, during the year of 2013, while I’m 30… I’m calling it my own personal ’13 going on 30 celebration’ and will probably be blogging about it sometime soon…meanwhile Plan number three? 13 going on 30! 4. Back to School: I’m not sure I’ve ever equated spring with the feeling of ‘back to school’ but I think this year I’m going to make it so. I’m planning to return to school for my masters degree, and meanwhile I need to get my rear in gear completing all those pesky gen-eds that I craftily avoided when I was an undergraduate. Why didn’t someone counsel me to take the HARD classes? But I didn’t, so here I am. But should things go according to plans, I’ll be going back to school in the next few months, and a year from now I’ll be enrolled in graduate school. Spring plan number four? Back to school! 5. 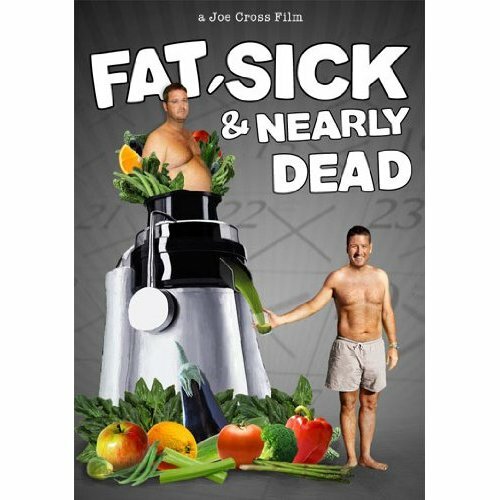 Juice Reboot: A few weeks ago, I ended up festering on Netflix to the documentary ‘Fat, Sick and Nearly dead.’ If you haven’t had a chance to see it, I recommended it under the category of ‘inspirational.’ It’s always exciting to see people make steps to change their life, in the face of great odds. Anyway, it also inspired me to think more about juicing. I have had a juicer since I was in high school, and have on occasion been known to do five or six days of juicing but never to the extreme that he did. One of the things I really liked about his reboot is that he doesn’t call it a ‘detox’ but rather calls it a reboot; it’s more about adding things into your body, rather than kicking them out. It’s something I want to give some serious consideration to in the next little bit, and I would go so far to say that Spring plan number five? Reboot. 6. Envelopes App: Since thinking about going back to school, one of the things I’m trying to really be diligent about is sticking to a good budget. A few years ago I went through the ‘Financial Peace University’ program, when my church hosted one of the seminars. I really liked what I learned, and found it to be an excellent resource to get things organized. He really pushes the idea of the ‘envelope’ method–which means you literally stash cash away into envelopes for different items in your budget. It’s awesome in keeping things organized, but not really so practical all the time. I do a lot of shopping online in places like Amazon, and the like, so having a cash only system really isn’t practical for my life. I do like the simplicity of a simple budget system though, so earlier this year I went looking for an ‘app for that.’ Thankfully I found one. The Envelopes App. It’s definitely making my list of spring projects. Plan number six? Neat and tidy book keeping, thanks to the Envelopes. 7. 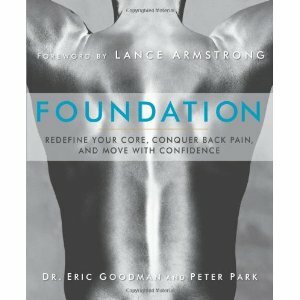 Foundation Training: A few weeks ago, I was watching YouTubes, and while watching Dr. Mercola’s channel, I ended up watching an interview he did with a man named Eric Goodman. He is a chiropractor who created a practice called Foundation Training while he was in school, in order to heal himself from chronic back pain. It was really interesting, and so I tried a few of the exercises. Fascinating things I noticed right away? They feel insanely awkward, and weird while you’re doing them, but they also made me feel REALLY good. I don’t have ‘chronic’ back pain, but I have struggled with chronic pain in my left leg for the last five years. I’ve never been sure if it’s sciatic pain or possibly another injury; it’s never been bad enough to send me to the doctors office–but it is enough to be really annoying and occasionally keep me awake for a while at night. That said, I do know that when my lower back is stronger, it stops. Anyway, I ordered his book, and so Spring plan number seven? Practice Foundation Training. Anyway, those are a few of the things on my horizon. What are your spring plans? I hope you’re getting inspired for the season to come, and to further live a more exquisite life.